Akvile is a Pay-Per-Click (PPC) advertising consultant with nearly a decade of experience. She resides in Central California and works with U.S. and international based businesses, ranging in size and industry. As someone who lives for connecting people, making the connection between consumers and brands is what she does best. As a conversion driven online marketer, she has a future forward approach and a diverse combination of search and social advertising, organic social media marketing, and holistic digital marketing strategy expertise. 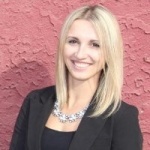 Previously, Akvile was the Marketing and Advertising Operations Manager at Third Door Media, where she and her team provided marketing information, tools, and services to internet marketers. She structured, optimized, and managed digital marketing efforts for the Third Door Media brand, its Search Marketing Expo (SMX), and MarTech global conference series. Prior to Third Door Media, Akvile was the Search Engine Marketing Manager at Trupanion Pet Insurance where she built their online advertising presence from the ground up. Before her time at Trupanion, she launched her marketing career as the Ecommerce Marketing Manager in Seattle, Washington at the outdoor sports gear and fashion apparel online retailer, Evo. Are you interested in boosting your reach, visibility, traffic, engagement, leads, app downloads, and sales? Let’s get in touch. Offline, Akvile is an adventurous, glass half-full type of gal with a deep appreciation for life experiences via her bucket list. She’s an avid coffee consumer, audiophile, painter, hiker, full time sauce fiend, and you can always find her searching for the perfect chicken wing outside of her hometown of Buffalo, New York.